Use Remanufactured Ink Cartridges for Your Christmas Photos | TonerGreen - Eco-Friendly Toners from the U.S. Since the Christmas Season is already here, everyone is starting to feel the excitement of celebrating with their families and friends. 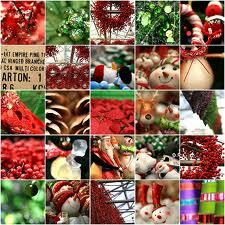 At this time of the year, a lot of people make sure to have a camera handy to take shots of the memorable moments. After taking countless photos, it’s time to print and share them. But what if you noticed that you have more than a hundred images of that Christmas celebration and you just figured out that it’ll cost you a ton of money to have everything printed? What should you do? Well, one solution is to pick out the images you really want to print. Keep in mind that you might not be able to print them all since it can cost you a lot. However, if you just can't seem to leave any pictures behind, you may want to use remanufactured ink cartridges for your inkjet printer. A remanufactured ink cartridge is a good alternative for printer supplies since it is more affordable and more eco-friendly too. You don’t have to worry about the printing quality since remanufacturers normally go through an extensive quality checking process to ensure the quality of the ink cartridge. Now, be careful with the choice of photo paper since this can also affect your printing. If you want to have really good prints, you can either go for matted or glossy type. Try all these tips and you will surely get more prints, and save money on top of that. It’s also fun to show it to your family and bond over the memories from this special day. So, enjoy all those pictures and remember how you and your loved ones celebrated the Christmas Season.